Grant Sinclair has taken to the Indiegogo crowdfunding website to raise $300,000 to help take his new pocket sized Poco system that is powered by the awesome Raspberry Pi mini PC into production. 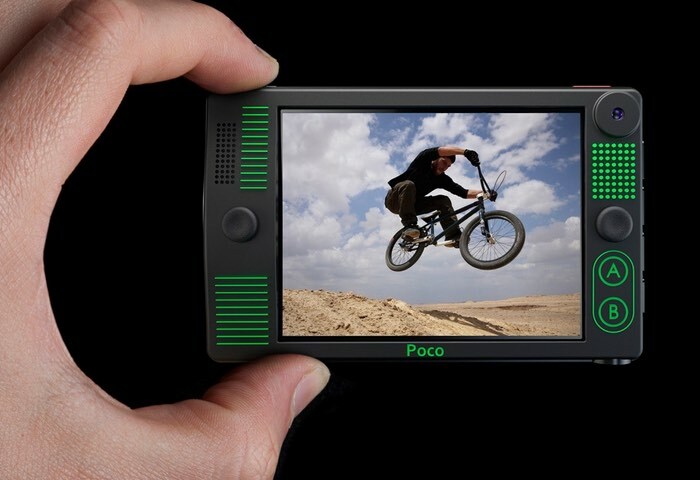 Being powered by a mini PC the Poco is capable of providing a wealth of functionality to users, and can be used as a portable gaming console, HD action camera and of course a music player and web browser to name a few. Watch the video below to learn more about this pocket size companion that includes a 2.8 inch 240 (RGB) x 320 pixels IPS TFT screen, built-in rechargeable 520 mAh Lithium-ion, Twin 5-megapixel Autofocus CMOS with 1/4″ optical and 1.4 µm pixel cameras and Broadcom BCM28365 512 Mbyte of RAM and 4Gbyte eMMC Flash. The Poco is priced at a hefty $380 and is also available in a waterproof casing for $455. Poco can shoot full HD 1080p video + 5MP still images from its dual front and back cameras and includes a superbright and programmable Cree LED flash. A built-in 1/4 inch action mount accepts standard universal attachments such as a bike mount, car windshield mount, helmet mount or tripod, Poco® is around half the size and weight of competing compact cameras. 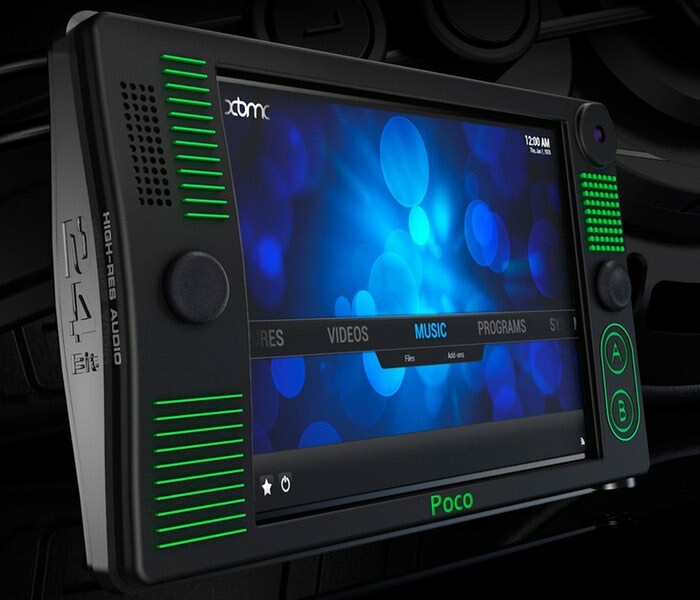 Use Poco’s ultra sharp 2.8 inch IPS touchscreen display for playback of content or easily connect Poco to your HDTV or projector using its built-in micro HDMI port. Poco can play and record next generation Hi-Res audio music that is studio quality and up to 18x higher quality than MP3 – great for musicians and Audiophile connoisseurs. A built-in dynamic speaker and twin stereo high fidelity microphones get you grooving straight out of the box. Alternatively you may prefer to plug Poco into your own sound system or home studio recording setup using Poco’s built-in micro USB hub (3x micro USB ports). Use low cost micro USB (mobile phone type) earbuds or instead connect your own quality headphones using a micro USB adapter. For more information on the new Poco Raspberry Pi powered mini PC jump over to the Indiegogo crowdfunding website for details via the link below.